Office holiday parties are a great way to close out the year and get excited about the coming year. But once the party ends, you will have a bit of a mess to clean up. MTO Janitorial shares tips for cleaning up in Prescott after your office holiday party. Use mats to protect carpeting from stains. Place large trash cans in common areas. Use disposable tablecloths to collect any bits of food and quickly throw it all out together after the party. Take down holiday decorations. Store the pieces you’ll keep, throw away the rest. Going through the room with a large trash bag, pick up the large pieces of trash: disposable dishes, party hats, napkins, etc. Spot clean stains and spills as soon as possible. The faster you act, the more likely you can get rid of the stains before they set permanently. Sanitize all surfaces, using a disinfectant. Mop hard floor and tile areas. Clean the bathroom. Sanitize or disinfect toilets, doors, sinks and appliances. Then, refill toilet paper, paper towel rolls and soap dispensers. 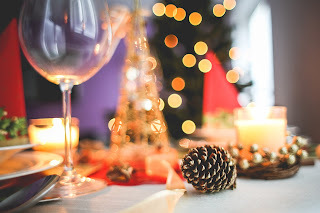 If your office party is going to be a huge event, consider bringing in professional cleaners, like MTO Janitorial to help get the job done quickly! MTO Janitorial hopes these tips for cleaning up after your office holiday party have been helpful. MTO Janitorial can solve all of your Prescott commercial cleaning needs. Call us today at 928-772-0004 for a free estimate.